The sociologist Tony Bennet in The Birth of the Museum (New York: Routledge Press, 1995), 6, 8, 24 wrote that the development of more modern 19th century museums was part of new strategies by Western governments to produce a citizenry that, rather than be directed by coercive or external forces, monitored and regulated its own conduct. 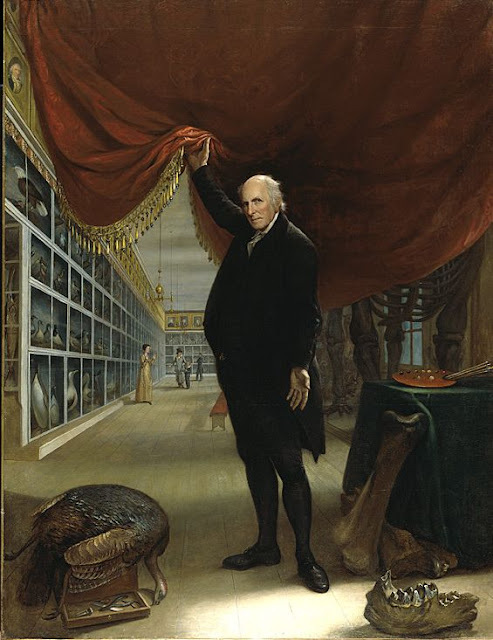 Peale`s vision however was a high vision. It was similar to that of Sir Hans Sloane, whose collection was the foundation of The British Museum in London. Now desiring very much that these things tending many ways to the manifestation of the glory of God, the confutation of atheism and its consequences, the use and improvement of physic, and other arts and sciences, and benefit of mankind, may remain together and not be separated, ... where they may by the great confluence of people be of most use."